We still have some items left over from the store that we are unearthing and we are selling on Ebay! Have you checked out our ebay store yet? Click here to go to our ebay store. Many of our ebay sales have free shipping within the US! We also have sets of items that are older or discolored that we are putting in sets and starting auctions at just $0.99!!! This set is out there right now!!! 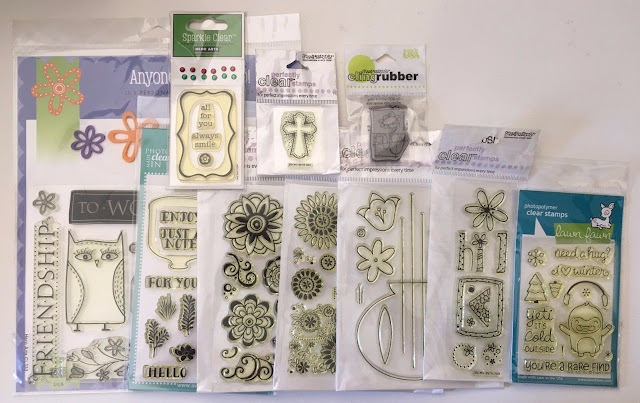 $110 worth of stamps by Hero Arts, Stampendous, Avery Elle and Lawn Fawn. Want to bid on it? The sale ends in a few hours!